February 2019 (Source: UM) - The University of Miami's Miller School of Medicine and Rosentiel School of Marine and Atmospheric Research (RSMAS) will launch a Master of Science in Climate and Health (U-MSCH) graduate program to begin in Fall 2019. The program will train future generations of professionals, research analysts, planners, decision-makers and leaders to address the intricate relationship between human health and climate, climate change and weather patterns, and weather anomalies, and quantify this relationship at multiple scales ranging from gene expression to individual susceptibility, community response, and the regional morbidity and mortality burden. February 2019 (Source: VoLo Foundation at Climate Correction) - The VISTA Award is VoLo's latest award recognition, specific for students who display exemplary leadership, along with Vision, Innovation, Sustainability, Technology, and Adaptation in climate solutions within the State of Florida. VoLo will gather proposals from students at either the Undergraduate or Graduate level who are enrolled full-time with a US-based University or College. VoLo will invite the finalist student individuals or teams to present their ideas at our annual Climate Correction conference in Orlando, FL. At Climate Correction, audience members will assist VoLo's Founders in determining the project that best drives positive change in climate solutions. The winning project’s individual or team will receive a $10,000 gift, made out to the University or College with whom they are affiliated to grow the project’s efforts. NOTE: this award recognition is only open to undergraduate and graduate students enrolled at a Florida-based university or college. See details on how to register. VoLo’s VISTA Award recognizes students determined to implement and achieve aggressive improvement in Florida’s climate goals. The award seeks to assist young leaders in sharing their voice and climate solutions throughout the community. Applicants of the VoLo VISTA Award program must complete our application questions and meet the following requirements. Applicants must be enrolled at a US-based University or College. No student may apply for the award during his/her final year of study unless current team members will be able to continue the project’s work at the institution for the remainder of the 2019-2020 academic year. The project must address a climate solution for the state of Florida. The project must be scalable. All applicants will need to provide a clear line-item budget and details about project growth. Applications can complete an optional Key Performance Indicator (KPI) model for their project to help further illustrate how the project will grow. The project must validate an achieved data result. I.e., X amount of GHG reduction is achieved with the implementation of this project at Y location for the period of Z years. MacArthur announced it will launch a new round of its 100&Change competition for a single $100 million grant to help solve one of the world's most critical social challenges. 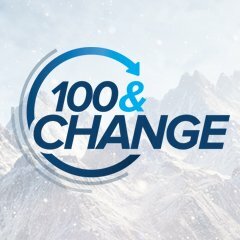 100&Change remains open to organizations and collaborations working in any field, anywhere in the world. Proposals must identify a problem and offer a solution that promises significant and durable change; they will be accepted online only from April 30 to August 6, 2019. In the inaugural round of 100&Change, from 1,904 proposals submitted, Sesame Workshop and International Rescue Committee were awarded $100 million to educate young children displaced by conflict and persecution in the Syrian response region and to challenge the global system of humanitarian aid to focus more on building a foundation for future success for millions of young children. Other funders and philanthropists have committed an additional $254 million to date to support bold solutions by 100&Change applicants, including a $100 million LEGO Foundation grant to Sesame Workshop and $9 million in funding from USAID and GHR Foundation to Catholic Relief Services. Many 100&Change applicants found that the competition challenged them to be more ambitious in their thinking, facilitated collaboration among groups to tackle an issue at a broader scale, and enabled them to create proposals they could use to pursue other funding. September 2018 (UCF, Tampa, FL) – Many cities across the globe are facing difficult challenges in managing their food, water, and energy systems. The challenges stem from the fact that the issues of food, water, and energy are often tightly connected with each other, not only locally but also globally. This is known as the Food-Water-Energy (FWE) nexus. An effective solution to a local water problem may cause new local problems with food or energy, or cause new water problems at the global level. On a local scale, it is difficult to anticipate whether solutions to one issue in the nexus are sustainable across food, water, and energy systems, both at the local and the global scale. Innovative solutions that encompass the nexus are particularly important to enable cities to better manage their food, water and energy systems and understand the benefits and tradeoffs for different solutions. 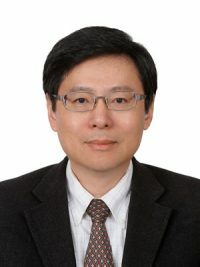 Ni-Bin Chang, PhD, Professor in the Department of Civil, Environmental Engineering, and Construction Engineering at the University of Central Florida, has been awarded a National Science Foundation (NSF) research grant entitled: “(ENLARGE) Enabling large-scale adaptive integration of technology hubs to enhance community resilience through decentralized urban food-water-energy nexus decision support.” The project aims to generate actionable information by analyzing the distributed production and storage of materials and energy flows into, out of, and within a community/city given their consumption patterns and supply chains associated with various FWE nexuses. This project will develop a multi-scale modeling framework to address the inter-relationship between multiple stressors affecting the food-water-energy nexus in 3 urban environments, Amsterdam, Miami, and Marshall. The models will investigate the impacts of increasing metropolitan populations, rapid land use change, shifting social, economic and governance norms, escalating climate variability, and changing ecosystem services within each of the investigated FWE nexus to elucidate the resultant water, carbon, and ecological footprint for each location. Read more..
April 30, 2018 (Source: FIU) - Mangroves running for their lives may have just hit the end of the road. The problem is so clear, it might be the first real sign Earth has entered a new geological era. Using a combination of aerial photographs from the 1930s, modern satellite imagery and ground sediment samples, FIU Sea Level Solutions Center researchers Randall W. Parkinson and John F. Meeder tracked the mangroves’ westward retreat from the coastal Everglades. Now, their backs are to the wall – literally. Having reached the L-31E levee in southeast Miami-Dade County, there’s nowhere left for mangroves in that part of the Everglades to flee. "You can see migration westward has stopped right where that levee is," Parkinson said. "In many cases there no space for them to migrate into — there’s development or some feature that blocks their migration. They’re done. That’s it." April 9, 2018 (Source: FSU) - New research from Florida State University scientists has found that urban areas throughout the Florida peninsula are experiencing shorter, increasingly intense wet seasons relative to underdeveloped or rural areas.